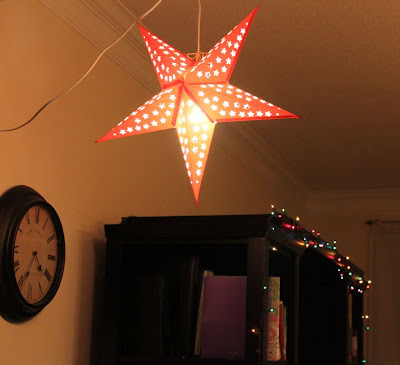 I've never really decorated much in the past few years, until this week when I received star lanterns from Divine Planet. These lanterns can dramatically change a room's ambiance and they did for me. They look very pretty with their colorful glows and intricate patterns. I was able to pick three star lanterns for review. 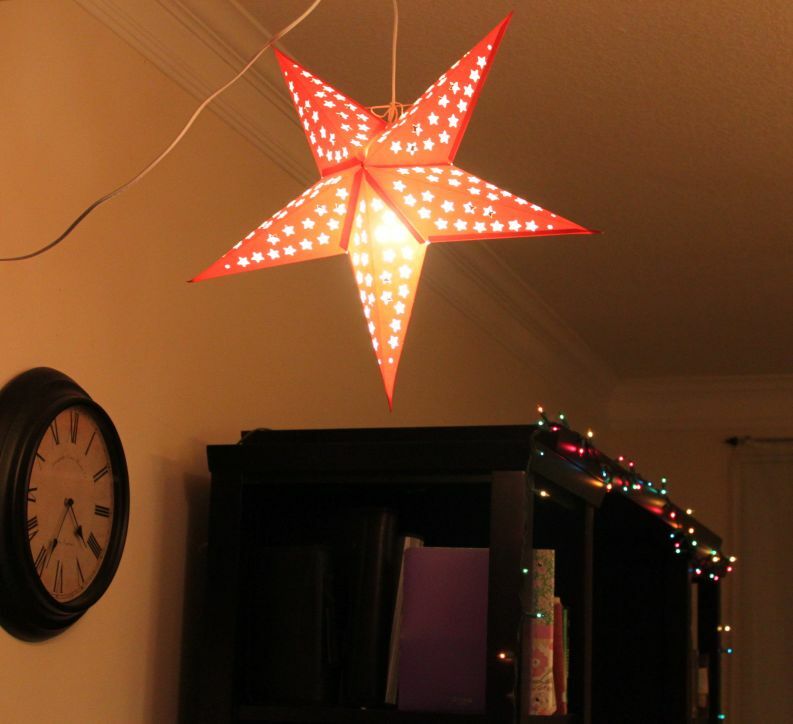 I chose the 5 point star style red with stars, white with swirls and a multicolor one. They made the perfect accent to my Christmas and bedroom decor, and add that little something that the rooms were missing. These lanterns are 100% handmade with natural materials. They're very simple and idiot proof to put together. You just carefully open up the stars and separate the paper that is sticking. Then screw a low energy 40 watt bulb ( the squiggly kind ) into the plug. Lastly, put it inside the plastic holder and into the lantern's opening. Then tie up the sides and hang from the plug wire where desired. I hung mine with nails, tacs and tape. simple to follow directions come with your lantern/s. The lanterns are very sturdy and emit a very strong light, as you call tell by the pictures. They are all pretty, but the white one with swirls looks really gorgeous. It reminds me of a high end decoration that would be much more expensive. I really can't stop staring at it every time I walk by. There are so many designs and styles to choose from, so you won't a have a problem finding the perfect one to fit your decor or even inspire the decor of a blank room. 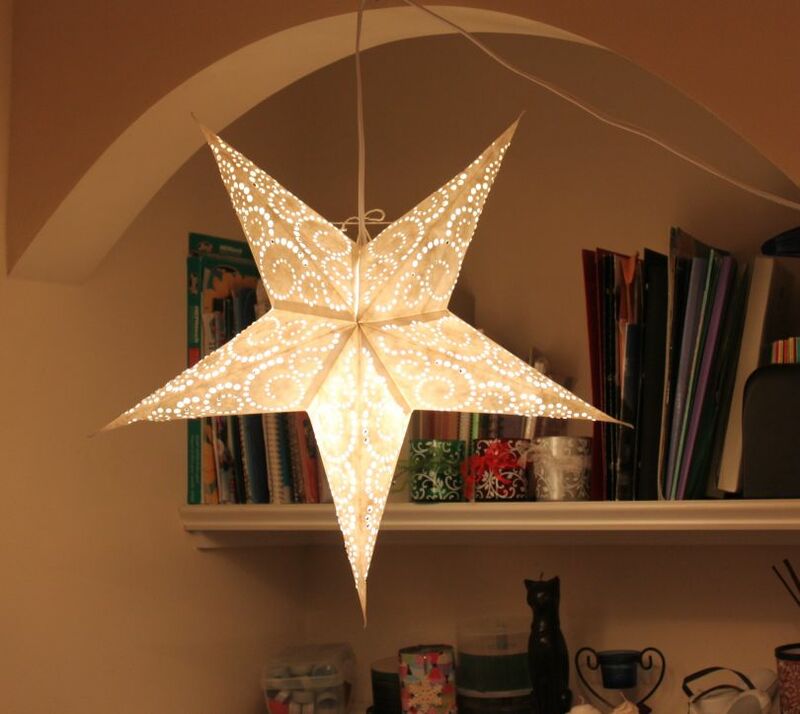 These lanterns are attractively priced for under $10. Mine retail for $7.25 and the lamp cords are only $4.95. 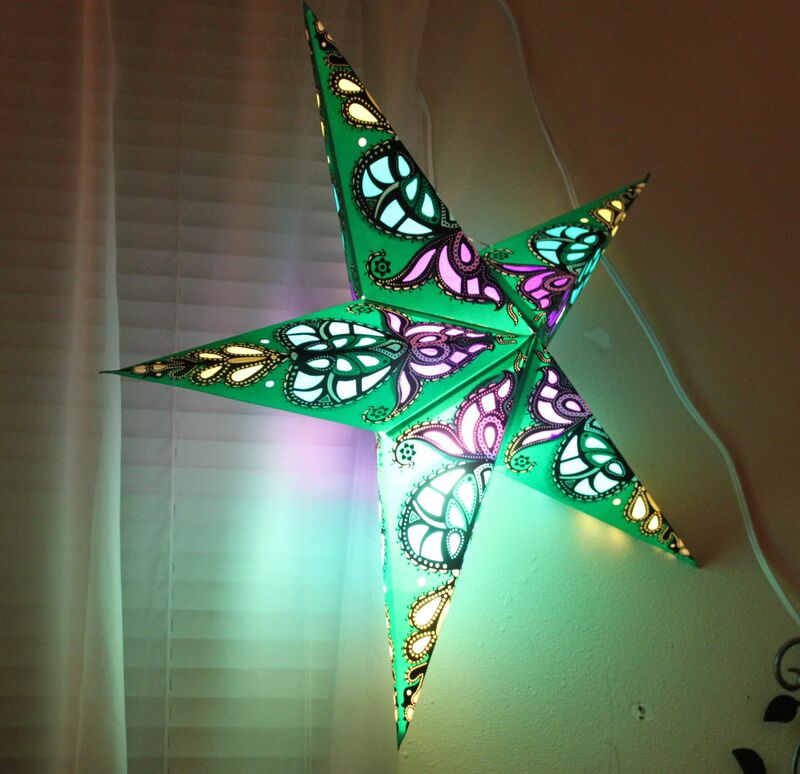 You can also purchase other decor, such a led lights for the lanterns, candles, clothing, jewelry and much more. I definitely recommend you check them out for New Years decorations for a party or any party for that matter. Those look awesome. We have a very small place so we are always looking for easy ways to decorate that don't take up a lot of room. We could use these!